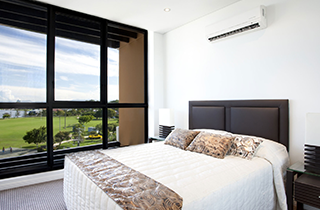 offers you expert air conditioning installation, repair, and maintenance services. We consistently come prepared with every service call, so you do not have to worry—we will have all our tools and materials handy in our truck. Give us a call today, and enjoy excellent air conditioning in Dayton, TX! At Bay Air Conditioning LLC, we will ensure that your furnace, boilers, and radiant heat are operating at peak levels all through the year. For the ultimate heating services, give us a call. Bay Air Conditioning LLC is your quality partner for all your heating products, services, and/or repairs. Bay Air Conditioning LLC is your listening, caring partner when it comes to commercial air conditioning. 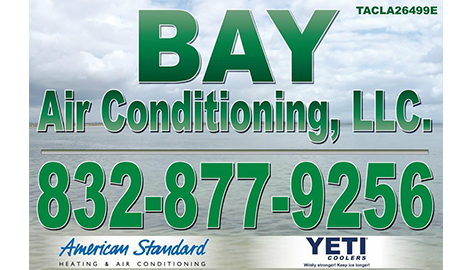 Bay Air Conditioning LLC is dedicated to providing the best possible solutions for your business or home. You can definitely count on us to provide you with solutions that fit your unique requirements. Since we have been installing many systems in this area for a long time, we have earned a reputation for doing the job right the first time. We are service professionals! As licensed specialists and contractors in the field of heating and air conditioning, we have the equipment, the tools, and the experience to keep your AC equipment running smoothly all year. If you require emergency assistance, we are available 24 hours a day, seven days a week. In order to help you reduce service emergencies, we offer service agreements that will keep your systems running at optimal levels, no matter the season. 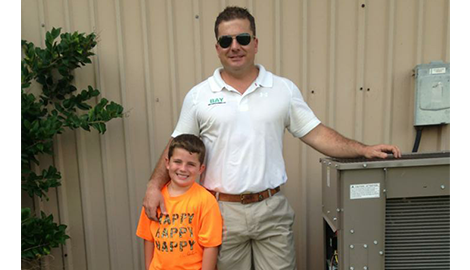 At Bay Air Conditioning LLC, we provide "Unsurpassed Customer Service 10 year Warranty." We have a wide variety of products to choose from that will keep your family feeling comfortable and healthy. 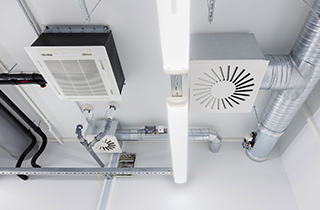 We carry a comprehensive line of energy efficient systems with innovations meant to raise the standards of reliability and comfort in your office and home. 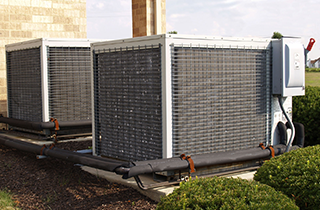 Systems available include air cleaners, heat pumps, gas furnaces, air conditioners, ventilators, and evaporators. Let the experts at Bay Air Conditioning LLC help you create a customized solution that is just right for you! When it comes to air conditioners, we consider ourselves the go-to experts. We have the capability to handle all aspects related to air conditioning; therefore, consider us as the ultimate one-stop shop for all your air conditioner needs. 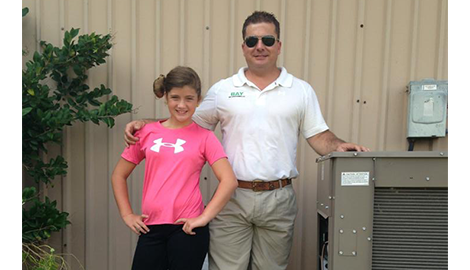 Are you ready to experience the services and products of an excellent air conditioning company? Call us now, and with the purchase of a furnace and evaporator system, you receive a free outdoor air conditioning unit! Join the bandwagon, and find out why we have so many happy customers in the Dayton, TX area.